It has been a while since my last Angel Flight mission. In fact, I don't remember exactly when the last one was. 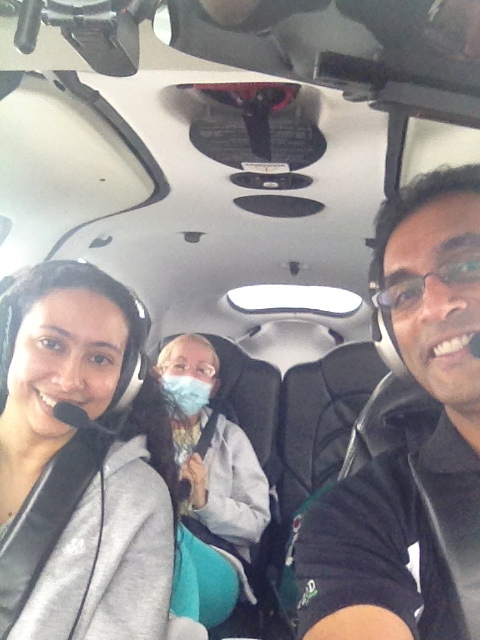 So today after work, I decided to fix that by transporting a Moffitt patient (Mendis) and her daughter (Carmen) from Tampa to Stuart, which is on the east coast of FL. But mother nature smiled on us. The weather cleared about 30 minutes prior to our scheduled departure time and we didn't even get wet as we boarded. 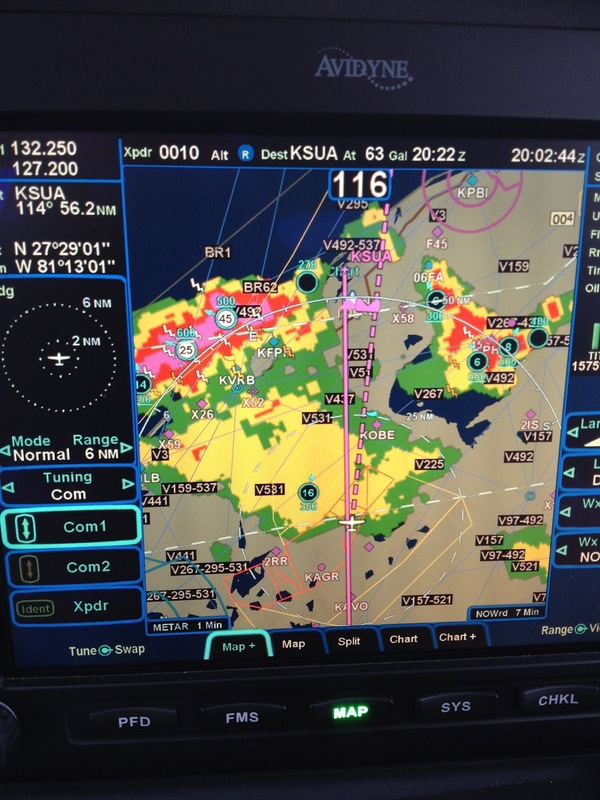 Approximately half of the flight was in rain and solid IMC. But Carmen's preflight prayer really seemed to work. Despite the rain, we had a totally smooth ride and listened to music the whole way. As we got closer to Stuart we had some good news and some bad news. The good news- Stuart was dry so we would be able disembark in comfort. 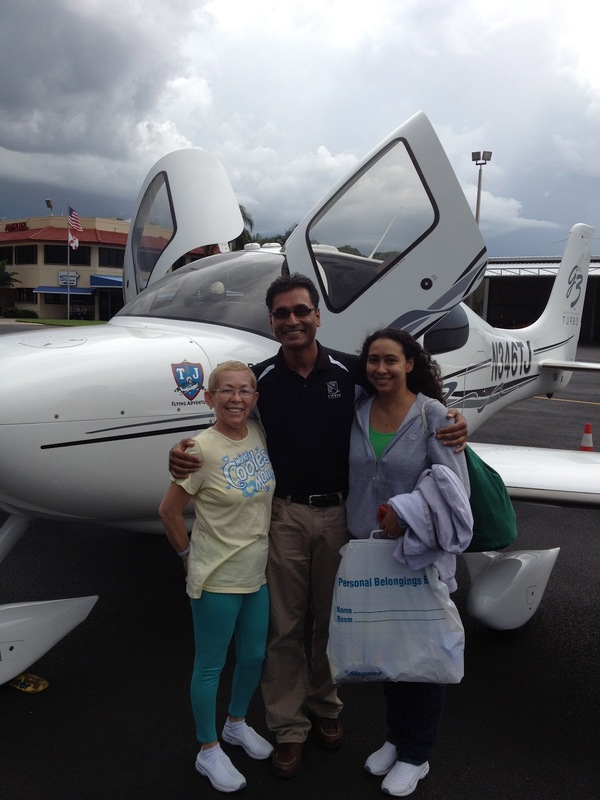 The bad news-Stuart was surrounded by nasty weather, which made for a windy, bumpy approach. We flew the RNAV 12 approach with a circle to land on runway 30. I felt like I was wrestling with the a 23 knot gusty winds the whole way down! But as you can we were dry when we landed!